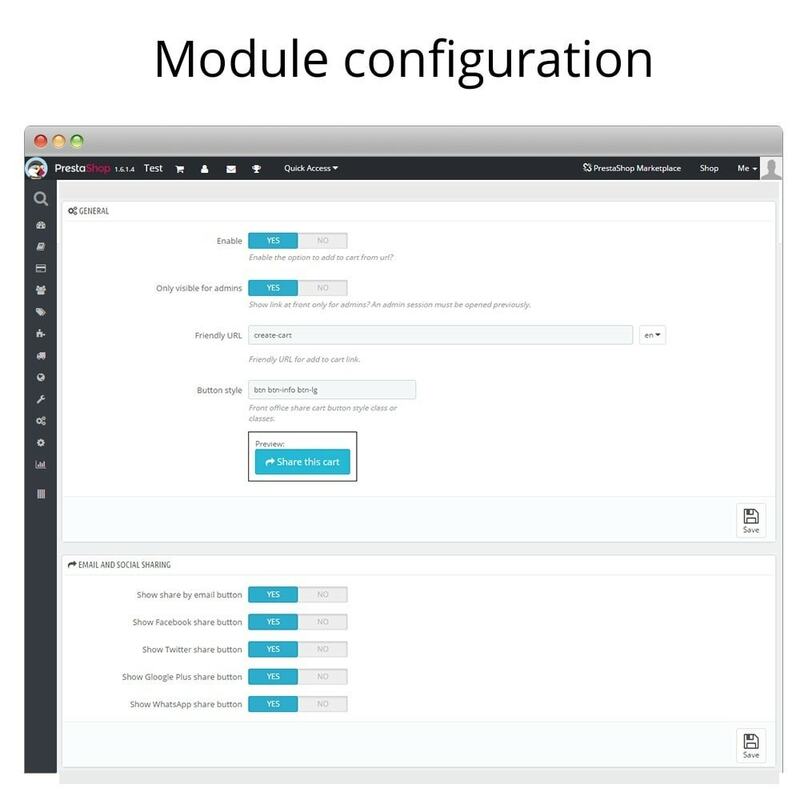 With this module you can generate a link that will be able to create a cart automatically with the products and quantities that you configure. You can send it by email, share in your social networks, send by WhatsApp, use it in your newsletters, etc. 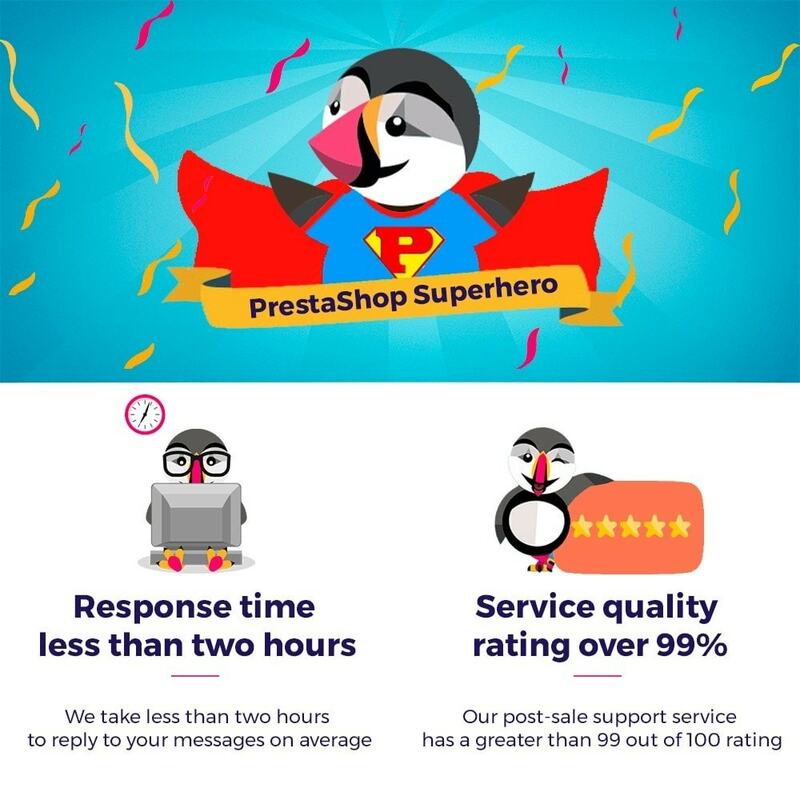 Customers who click this link will be redirected to the checkout process with the cart already created and just 1-click away to complete the order, where they only have to select carrier and payment method. Unfortunately, sometimes customers do not find the products in your store, or you have similar products and they don't know which one to choose. Avoid mistakes and send them a link that automatically adds that product to the cart. 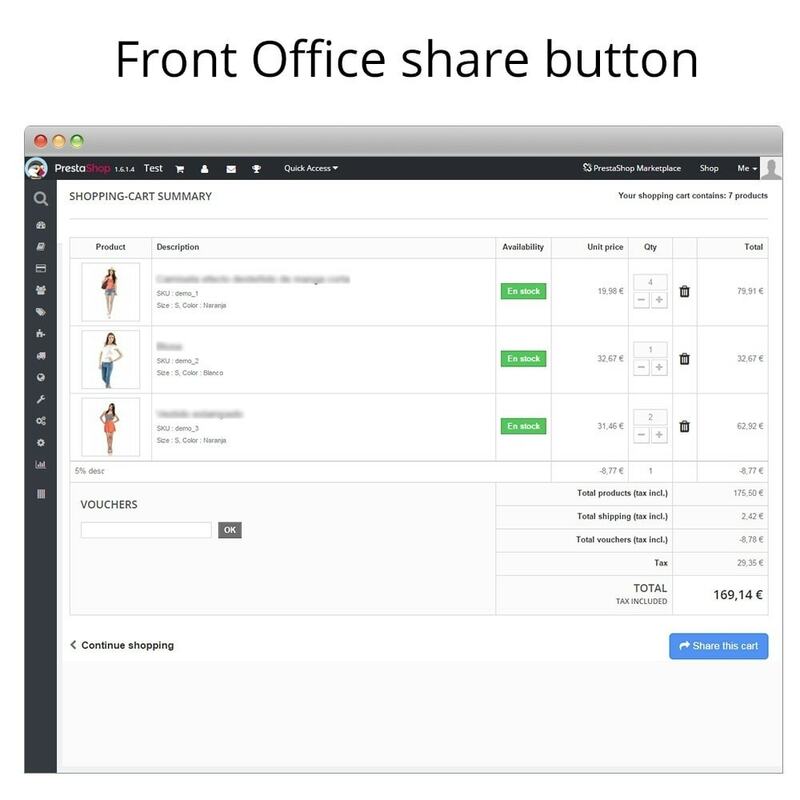 Your customers can also share their carts! Let your customers create carts and send them to their friends or family. They can share the link directly by email, in their social networks, by WhatsApp, etc. A customer asks you for a product or a combination of products? Send him/her a link that directly creates a cart with these products. Do you want to put in your newsletters a link to your shop with a cart already created? You can do it easily with this module. You can create the desired cart, generate the link and paste it in your newsletter quickly and easily. Your customer will be a click away to buy this product. 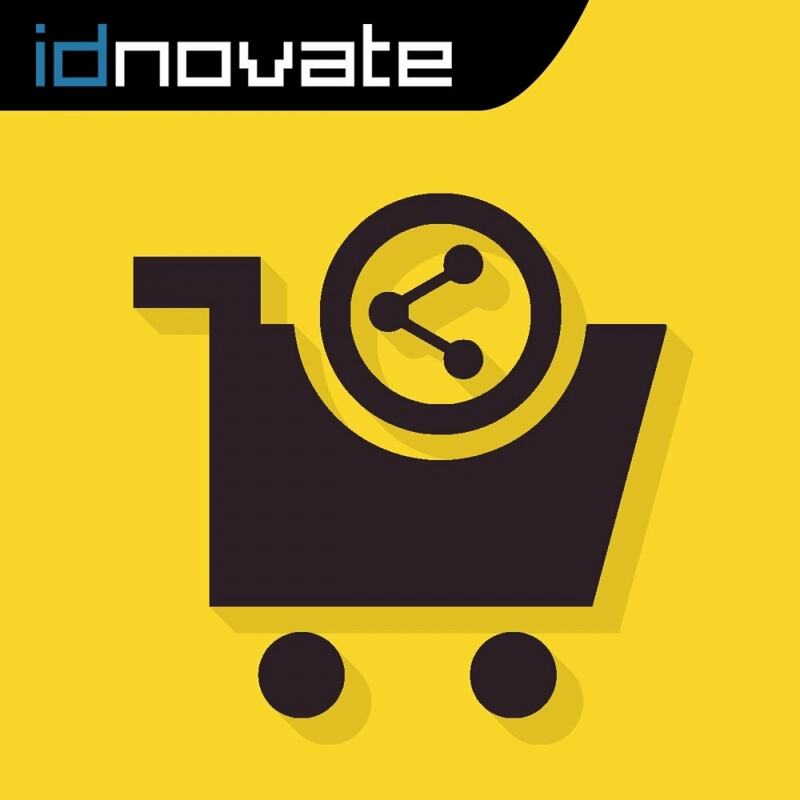 Do you want to offer a possibility that customers can share a shopping cart? 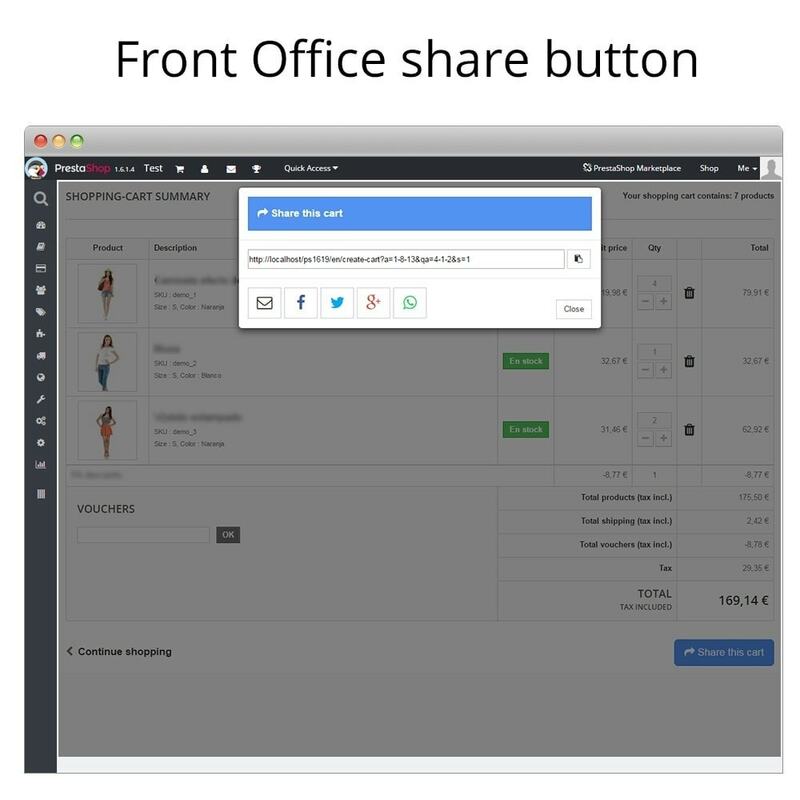 Display a button where customers can generate and share the link with whoever they want. Try it in our demo! Customers won't have to create the cart. Will enter your shop with shopping cart already created and all they have to do is complete the purchase process! Redirect url changed to cart page instead checkout page.